We have arrived back in Skardu. The trip was fabulous. The team jelled quickly and with Lee’s excellent leadership consistently performed well and was ready and able to cross the Gondogoro La. Unfortunately the route conditions lead us to a unanimous decision to not cross the pass. Our decision was confirmed with a change in the weather. K2 blessed us with three days of spectacular views from the moment we arrived at Concordia, the day we walked to K2 BC and almost until we left. This is without a doubt one of the most special places on the planet. For me personally seeing K2 has fulfilled a 35+ year dream. Your Pakistani team were incredible. Our lead guide Aman and assistant guide Yasser were great. Everyone had full confidence in their leadership and decisions. The entire group gelled like none other I have been a part. By the end everyone; clients, leaders, porters were working side by side setting up, breaking down, crossing rushing waterways all to ensure everyone was safe and healthy. Thank you for helping this adventure and dream come true. Every day is a great day. Some days the sun shines. Follow your passion. Do it well. 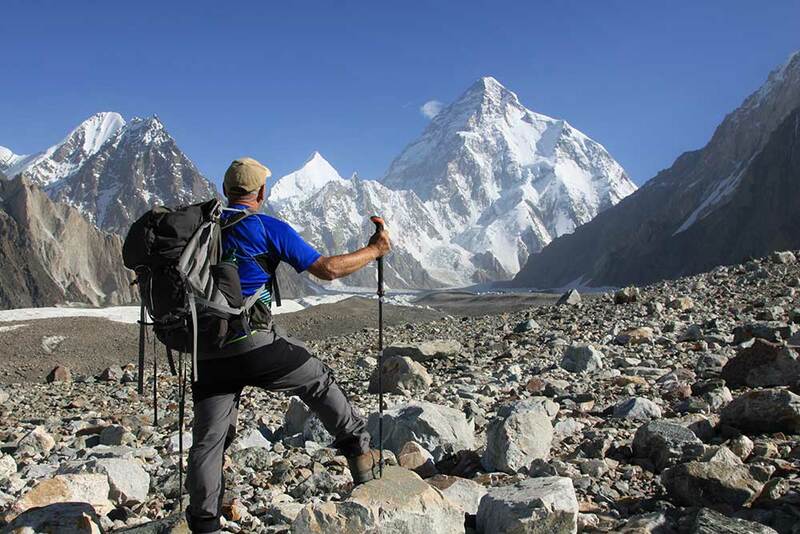 Adventure Peaks has never stopped offering trips to the Karakorum, despite the unrest in certain parts of Pakistan. Why? Because it is simply the best the world has to offer to mountaineers and hardy trekkers alike. Yes – getting permissions and obtaining visas is a hassle – but everyone gets there in the end – and we know how to help. OUR SECOND DEPARTURE starts in Askole and finishes in Hushe, crossing the Gondogoro La.